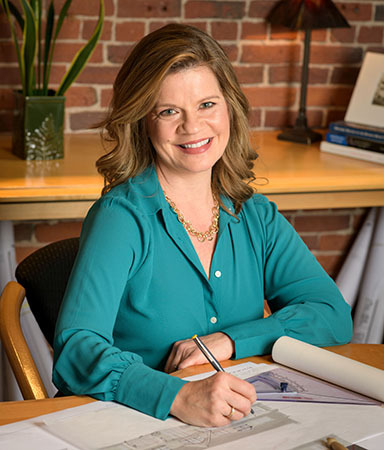 Architect Juli MacDonald of Amesbury|! !| Mass.|! !| has been named an associate at DeStefano Architects|! !| Portsmouth. MacDonald|! !| who joined the firm in 2002 as a project architect|! !| currently serves as the firm’s residential studio manager. Bangor Savings Bank has announced it will open a new branch at 8 Bow St. in Portsmouth after a complete renovation of the street-level storefront. Construction will begin pending regulatory approval, with an opening expected by late summer. Bangor Savings is currently in the final stages of acquiring Granite Bank and its locations, including a full-service branch office on Lafayette Drive in Portsmouth. The team at Berkshire Hathaway HomeServices Verani Realty brought home several awards from its network’s annual sales performance awards event, including an honor for the entire firm, which earned a spot in the Elite Circle, ranking as the No. 21 highest-performing office in the Berkshire Hathaway HomeServices global network, with $1.3 billion in sales volume. In addition, commercial real estate agent Tom Duffy was recognized as the fourth-highest performing commercial agent in the network nationwide for sales. A 7,702-square-foot flex building at 2-4 Mirona Rd., Portsmouth, has been sold for $1.1 million. Kent White of CBRE|Portsmouth was the sole broker in the transaction. White also was involved in the lease of 11,322 square feet of space at 282 Corporate Drive in Portsmouth by Highlights Education Group. White represented the landlord in the transaction, along with Deb Lynch of Keller Williams Coastal Realty. Manchester-based Red Oak Apartment Homes has completed The Ridge at Eastern Trails, a 16-unit luxury townhome community in Milford, another phase in its new construction rental housing venture, The Ridge at Eastern Trails. The new townhome community includes a mix of two- and three-bedroom rental townhomes ranging in size between 1,410 and 2,075 square feet. The final phase of The Ridge at Eastern Trails project will be a third apartment building similar to the first two that were completed in 2017. Top Realtors for 2017: Keller Williams Metropolitan; Berkshire Hathaway Verani; BHG The Masiello Group; Coldwell Banker Residential; and Bean Group. The town of Newmarket was selected as the overall winner in the American Council of Engineering Companies of New Hampshire’s 2018 Engineering Excellence Awards. The town was honored for the upgrade project recently completed on its wastewater treatment facility. The $11 million, five-year project involved the collaboration of the town, NH Department of Environmental Services, Wright-Pierce Engineers and Apex Construction. Belknap Landscape recently won the President’s Award at LandOpt’s Annual Principals Meeting and Success Celebration in Daytona Beach, Fla. The award recognizes companies that show significant growth internally and within the LandOpt Network. John Frawley of Campton has joined Coldwell Banker Linwood Real Estate as a sales associate at its Lincoln office. M2 Service Group, Exeter, has hired Mike Fitzgerald of Hooksett as a field supervisor in its HVAC division. Joe Varraso has joined The Provident Bank as vice president, commercial lending, working out of the bank’s with a focus on commercial and industrial real estate lending. Before joining The Provident, he was vice president-business banking team leader at Radius Bank in Boston. Acadia Kitchens LLC of Portsmouth, a manufacturer of kitchen cabinetry, recently subleased 14,000 square feet of manufacturing/warehouse space at 131 Broadway in Dover from Jewett Farms + Co. of York, Maine. David Choate and Laura Farago of Colliers International’s Portsmouth office represented Jewett Farms and assisted Acadia in the long-term sublease.